CDs are must if you want to enjoy the music with CD players or play in car. 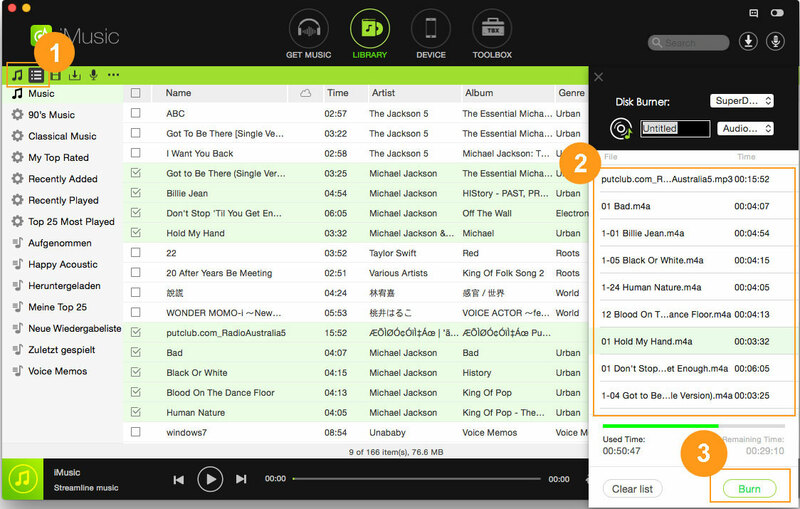 iMusic is able to burn music from your iTunes Library to CDs. Here are the steps. Install and launch iMusic on your computer. Click “TOOLBOX” menu on the top of the software. Next, choose “BURN CD”. Click “LIBRARY”. 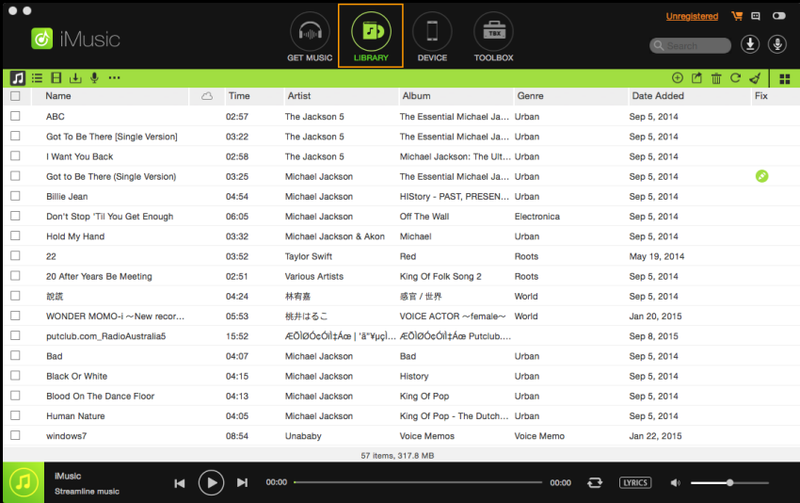 Then in the next window, click the Music icon to display all songs in your iTunes Library. 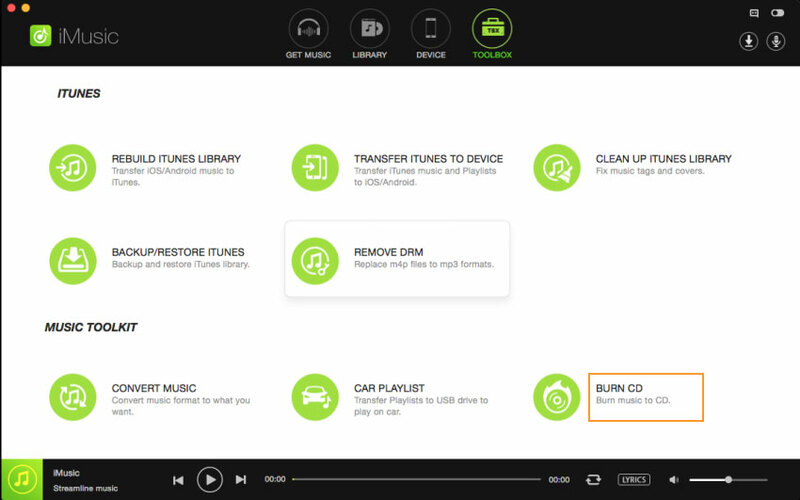 you can click the playlist icon and burn playlists to the CD.